This image from NASA's Cassini spacecraft shows Jupiter's spots and other cloud patterns in unprecedented detail. 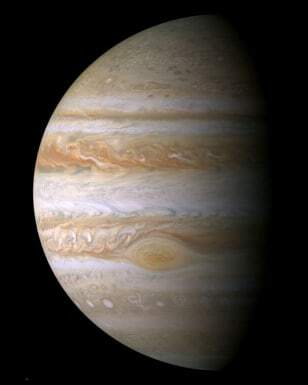 Scientists say the Great Red Spot, visible just below the Jovian equator, is not likely to disappear. But its appearance has changed over the years, becoming less red and more of a salmon color.